Welcome to Funny Matters. Funny Matters is suppose to make you laugh till you drop. Well almost all the time. Just in case we did not make you drop, please do us a favour and drop yourself. Here you have jokes, funny stories and much much more. Would you like to Post A Query instead? Copyright © 2006 - 2007 Tons Of Matters.com. All rights reserved. 30 Nov 2006 Reasons why I never visit my Rich Friend? If you matter, then we matter! 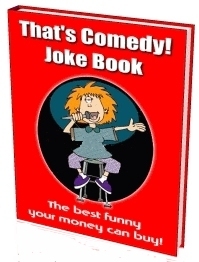 In just 7 days -- you can be creating incredible jokes in everyday situations, naturally and subconsciouly -- even if you feel you don't have a humor bone in your body! This is truly the best FUNNY your MONEY can buy. If you want to be tickle pink continuously without having to wait for your friends to send you more jokes through the internet...this is it!